I’ve put on a lot of miles during this moto trip, and my body can feel it. 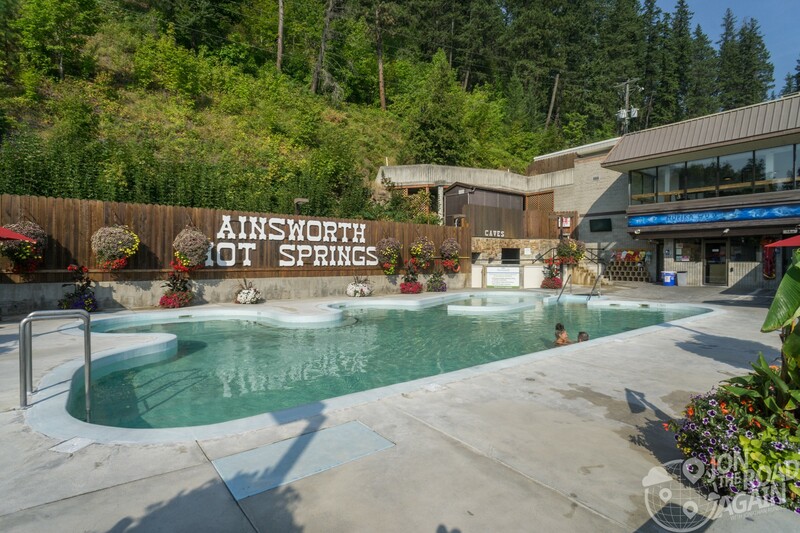 It’s time for a nice soak here at the Ainsworth Hot Springs. 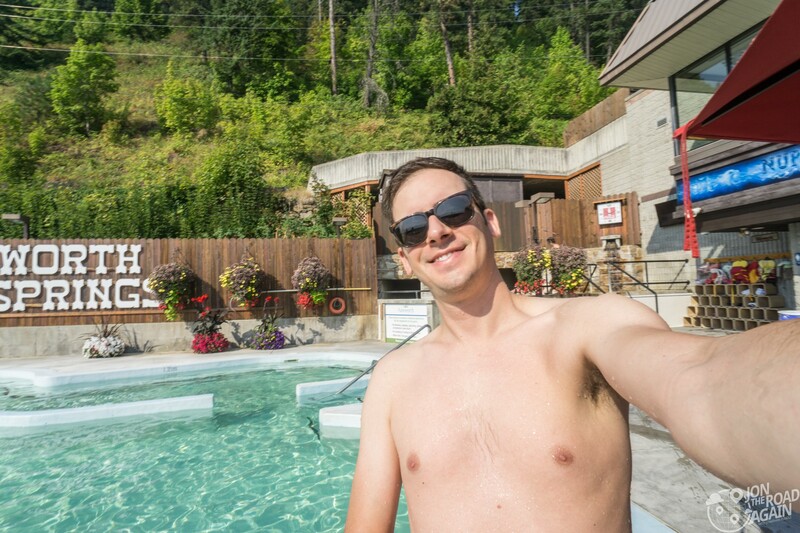 A short 15 km jaunt from Balfour and the Kootenay Lake Ferry, Ainsworth Hot Springs is just about the only thing in this neck of the woods. Just like Crowsnest Highway and just like Waterton Lakes National Park the roads around here are fantastic. I’m sounding like a broken record, but the Canadian road system has been flawless on this trip. It’s hard to take photos as I ride, but the views are amazing, the twisties are many, and the potholes or tar snakes are non-existent. Since leaving Seattle I’ve ridden over 1,000 miles. I don’t know if you, dear reader, ride motorcycles a lot, but if you do you’ll know my back and legs are getting a little fatigued. 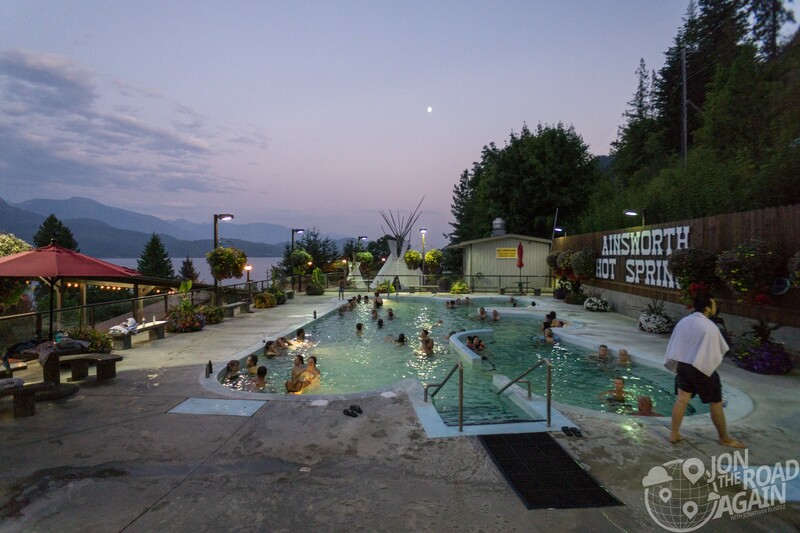 What better place to spend my evening than the Ainsworth Hot Springs set on the shores of lovely Kootenay Lake (you can see it off to the left in the photo below). 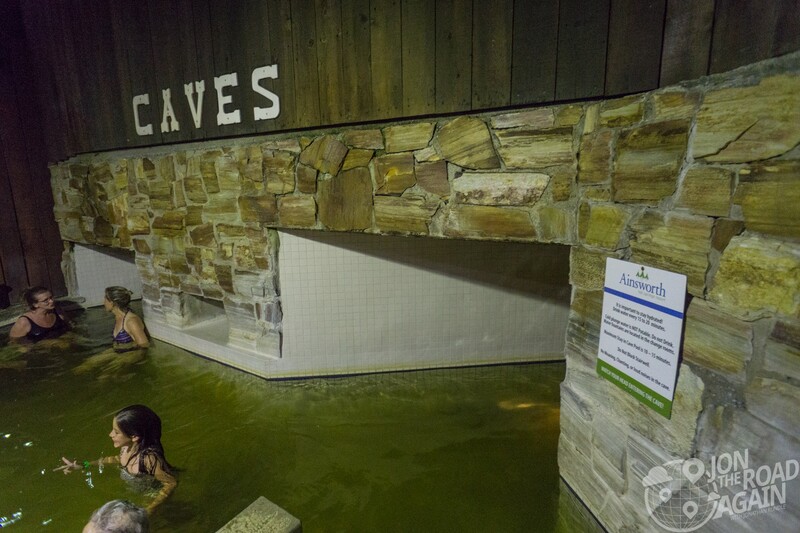 These hot springs have the concrete swimming pool style set up and a cool little tunnel that goes into the caves. The hot, healing waters originate from here. The caves are dark with a few nooks and crannies for people to hang out in. 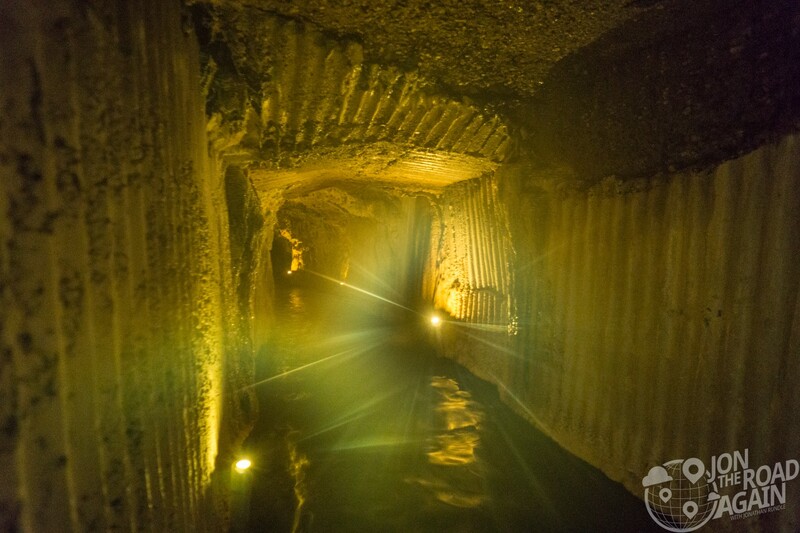 The water streams in from a few spots in the ceiling of the caves. The water from the ceiling is hot. The cave water is about 10-15 degrees warmer than the pool. Both are fed from the natural spring. My camera can’t take it in here. The next morning, I’m ready for another soak. It’s going to be a VERY long day as I am planning to make it back to Seattle by nightfall. That’s a trip of 769 km (470 miles) which would be my second longest day of this trip (Seattle to Whitefish, Montana was 600 miles) and my third longest day in the saddle ever (Wendover, Utah to Seattle was 800 miles). The cold plunge is fed by Munn Creek. Even though the water looks dirty, it’s really just the iron and all those other healing minerals giving it that tint. 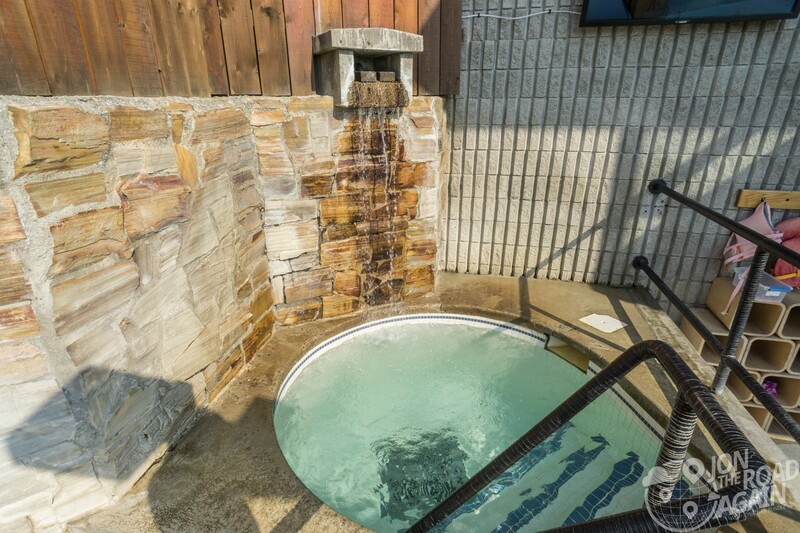 Ainsworth is a town of 50 – and the hot springs is the best hotel and the best restaurant around. 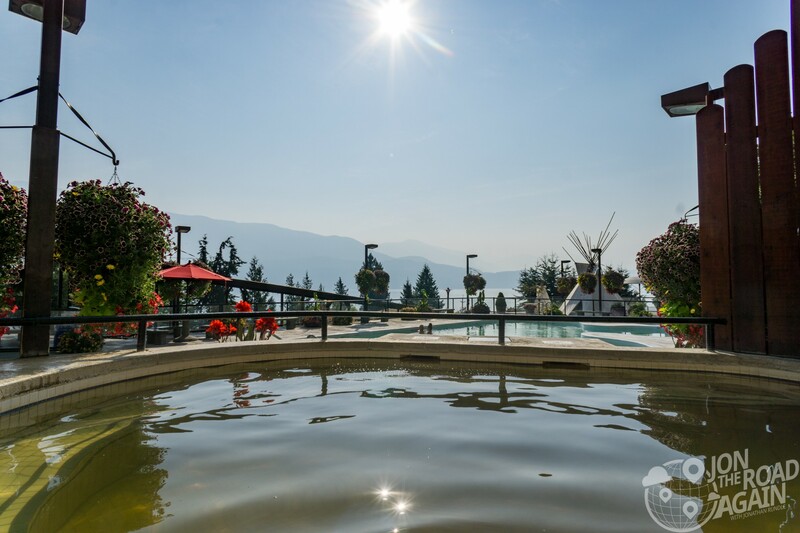 Those staying in the hotel get free admission to the hot springs and special, extended hours to use them. The restaurant is quite good, too (I recommend the salmon burger with a local ale). Visit their website to book a stay. Looks so relaxing after a hard day of riding! Thanks for the beautiful pictures!